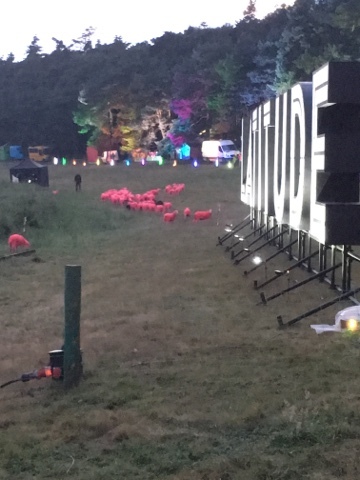 This week we have been at the ludicrously sunny Latitude festival. No mud, just grass and pink sheep! 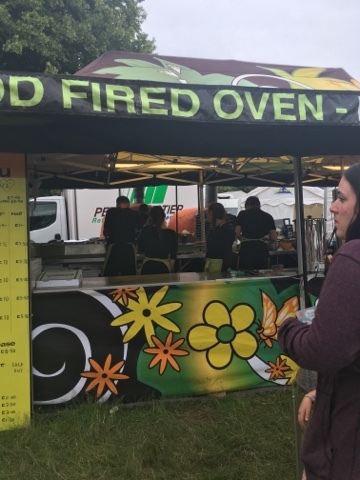 First up we have some of the festival foods. 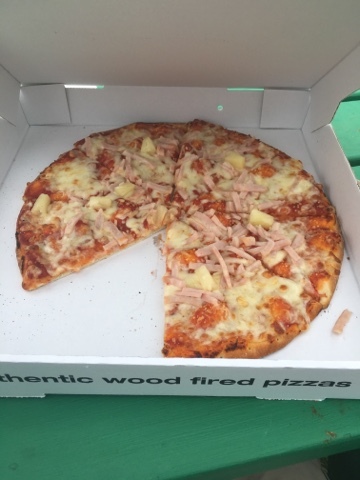 This years big thing is wood fired pizza. Why? Because it cooks in two minutes and kills all the germs! It's also pretty deluxe and at £10 a pizza must make a decent crust. I'll forgive them for not using proscutio as advertised because it was nice and welcome. No brand loyalty needed here - every third stall is selling these! 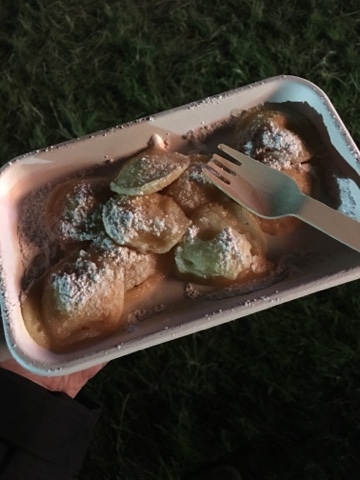 Night time snacks are available too, here we have pofferjes - mini pancakes. At 10 for £5 they aren't cheep. 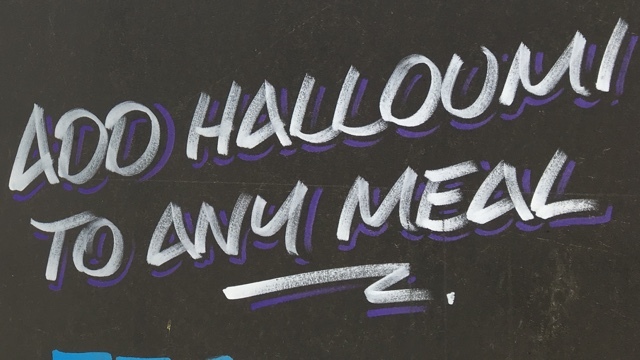 The guys running this stall were really chatty and nice and while the end result doesn't look like much in the twilight they are actually a really welcome snack. I had the lemon and sugar but the butter version is apparently the traditional option. I'll have these again! 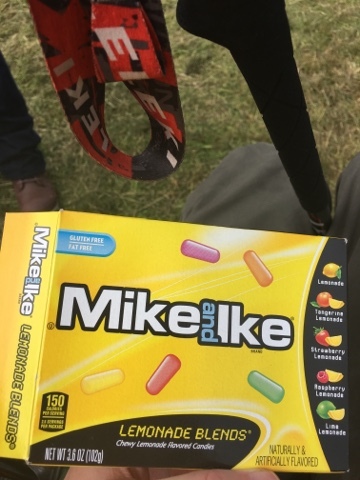 I got these Mike & Ike lemonade blends for my birthday. Just perky enough to make the shift for Oxfam speedier and they survive the hot weather well. 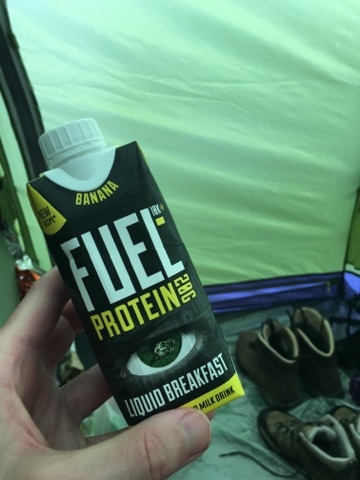 Breakfast has again been protein based milkshakes and these help give me the energy to get to the site to buy something more solid. 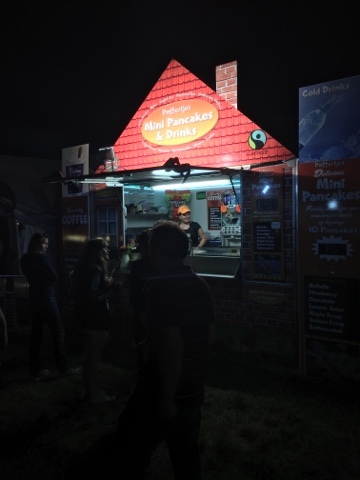 And lastly some diet advice proving that Latitude is the height of middle class festival excellence.